Gluten free sourdough, and a Great Taste winner 2016! This mix is sugar free, not to mention dairy, eggs, nuts and soy free! A delicious, tart, bread with a firm crisp crust. 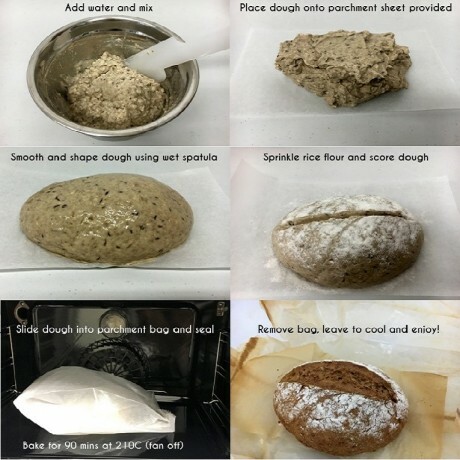 You can also use it to make rolls. So easy to make and a real everyday treat for everyone, whether you are gluten intolerant or tolerant! Just add water. No kneading. All you need is a mixing bowl and spatula! Available to buy as a pack of 4 x 240g mixes. See our other listings for other mixes including a selection pack of different bread types. These loaves are as good as artisan bread made with wheat, the tastiest gluten free bread I've ever had. So glad I discovered Rana's bakery. Love love LOVE Rana’s Products! Love love LOVE Rana’s Products! Best gluten free baked goods on the market in my opinion (and I’ve tried a lot!) The bagels are heavenly, quite small but fantastic quality. I like mine toasted smeared in avocado, delicious! Wonderful product and arrived very promptly. Lovely texture and tastes quite nice as well. Lovely texture and tastes quite nice as well. The best thing about the bread is it's made with all natural ingredients. Incredible bagels. Absolutely love the taste. Great bread, yeast /sugar free and gluten free! 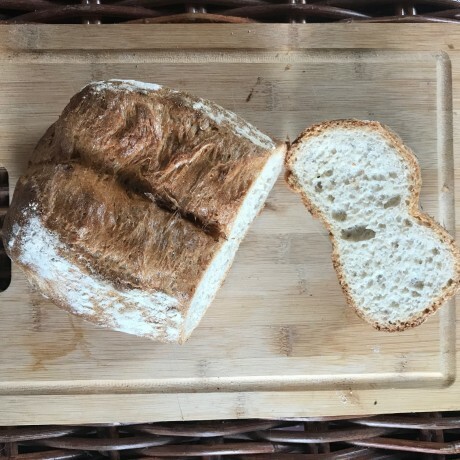 Great bread, yeast /sugar free and gluten free! what more can you ask for? Tasted like bread! I could eat this on its own it was so good and warmed it was delicious. Great tasting bread. Lovely texture and no artificial preservatives/additives. These bread mixes are just what I have been waiting for. Very pleased with the loaves. Very pleased with the loaves. Have had a taste of each of them as I sliced them and put spares in the freezer. I enjoyed them all! Slightly sticky deep inside most of the loaves, nice crisp outer with the chewiness I miss. Had some with straight off the bread board, some the next day with avocado on, and polish plum cheese [not together!] and just toasted a small crust plain for a snack.